As I had mentioned in an earlier post, with more and more loved one's going gluten-free, I have had to re-evaluate our pantry. While it is obvious which bulk foods contain wheat, the sinister products that sneak up on you are the seasoning mixes. Even if you aren't trying to avoid gluten, think of a future guest (I almost used taco seasoning on my mother who is gf). Also, making your own seasoning mixes is frugal and healthier (no MSG's, GMO soy additives, anti-caking agents, weird chemicals, etc.). Not to mention, you can chose more quality ingredients such as replacing table salt with sea salt, sugars with a less processed brand (or eliminate altogether) and organic ingredients if your budget allows. We are sharing the six seasonings we use most often in our home along with printable recipes, labels and directions to paste onto your jars. 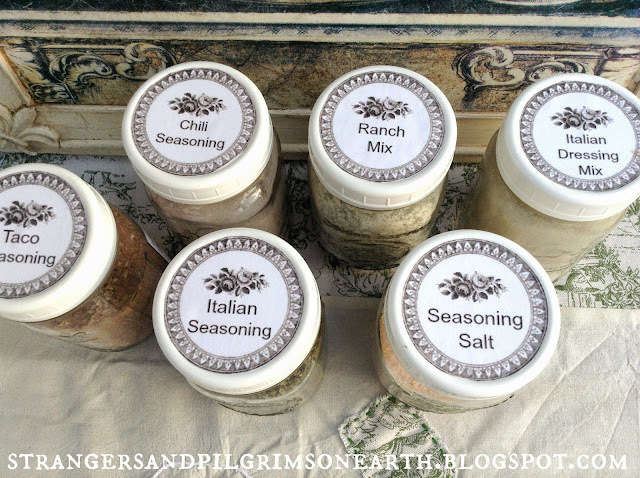 Here are the basic ingredients you will need in order to make all six seasoning mixes for your pantry. I prepared an approximate pint of each but larger families may want to make a quart. Or, once you know what recipes you like, then you can double them and so forth. We also live in a humid climate so I don't go larger than pint sized jars or they will quickly cake up on me. Blend all ingredients together in a blender and store in an airtight container. Directions: To prepare dressing, whisk together 1/2 cup white vinegar, 1 1/3 cup oil (grapeseed or olive oil are good choices), 1/4 c. water and 4 tbsp. of the dry mix. You could also experiment with different vinegars to get different flavors. Directions: Use like you would any Italian seasoning mix. 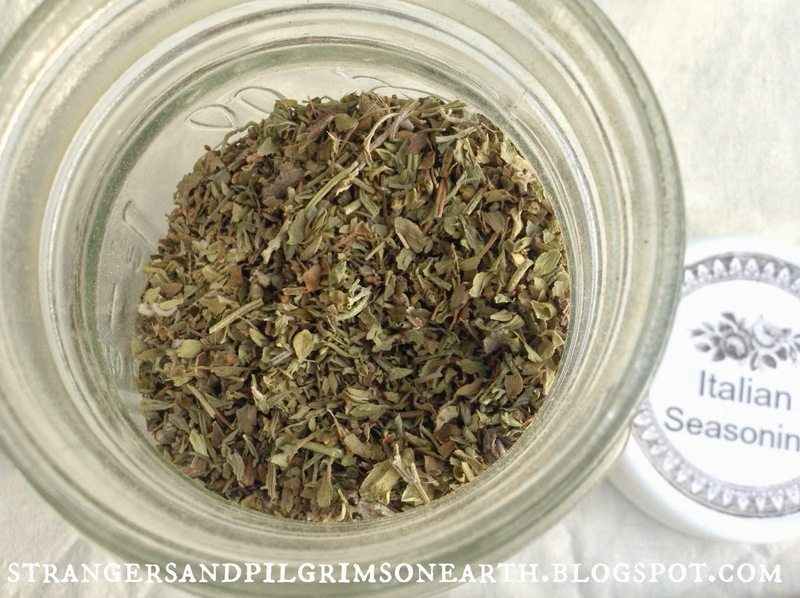 Herbs are so good for you so feel free to use liberally! :) We add this onto our pasta sauces, pizzas, roasted vegetables, etc. Directions: To make a ranch style dip, add one or more tbsp. of mix to one cup of sour cream until you reach desired flavor. To make a ranch style dressing (we love to dip our pizza crust into this), mix together 1 1/2 tbsp. ranch mix with one cup of mayonnaise and either one cup of kefir, buttermilk or homemade plain yogurt (I mention homemade because it is runnier). Directions: Use like you would any seasoning salt. We especially love this on our meats, fried potatoes and baked french fries. Directions: Use 2 tbsp. of mix per pound of ground meat. Directions: Use 1 1/2 tbsp. per pound of meat with 2 tbsp. water. Our printable includes the recipes and labels for the six seasonings (borrowed from our "Seasoning, Spices and Such" label set). It also shares instructions for the mixes so that you don't need to look them up each time you prepare them. I affixed mine to the back of each appropriate jar. 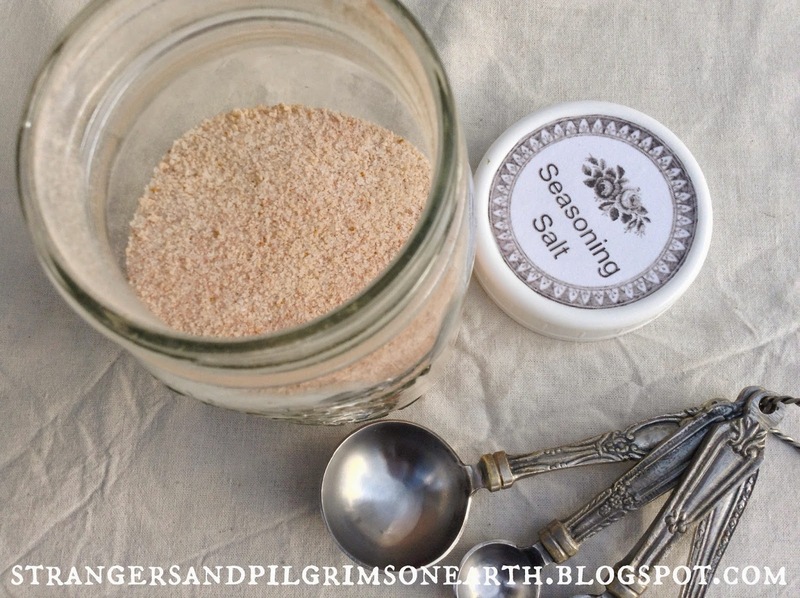 It is so satisfying to add usable items like this to your pantry at a fraction of the cost and with all natural ingredients! I store the bulk seasoning in jars and refill my spice containers as needed. You can also find spice jar lids for your mason jars here if you like. Happy homemaking ladies! For our "Make Your Own Seasoning Mixes DIY Recipe Kit Printable", visit HERE.You can either print them out on plain paper, cut to size and affix to your containers with glue (or decoupage) or print them out on sticker paper and cut to size. If you choose the first route, you may want to place a piece of packing tape or clear contact paper over each label to protect them. FortheItalian Dressing Mix you only put 1/4 for the onion powder and sugar. What measurements are the? Tablespoon or teaspoons or what? For the Italian Dressing Mix you only put 1/4 onion powder and 1/4 sugar. What are the measurements for these? Tablespoon or teaspoon or something else? This is great! Especially because I have all the ingredients on hand. I might have to dry some chives but I was planning on doing that anyway. Thanks for sharing. 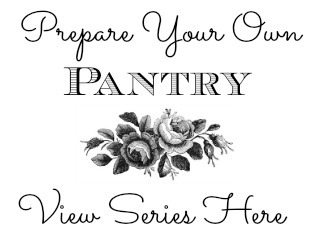 What a great idea for a blog post and I love the Printable Recipe Kit. Very handy! 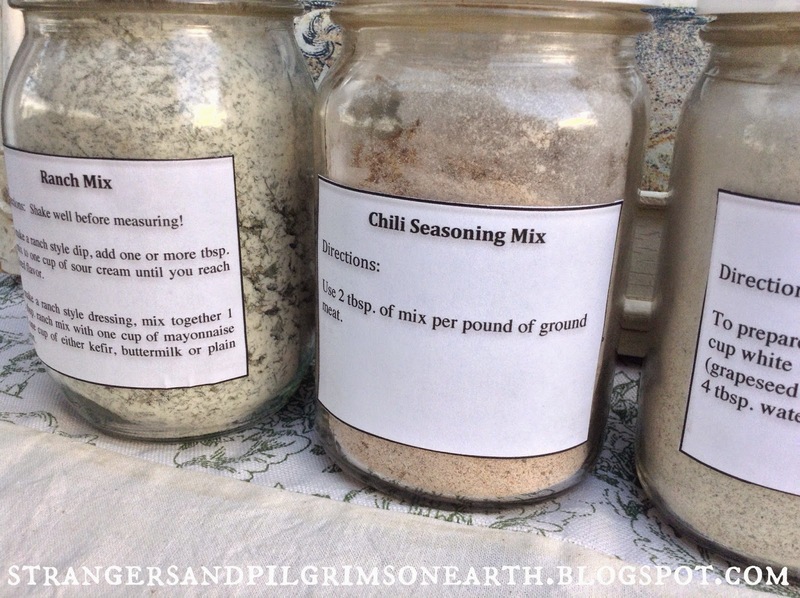 Thanks for including my Chili Seasoing mix. It's from an old recipe of my moms. Off to check out the other mixes you've listed here. You are just wonderful for providing not only recipes, but labels, and printable instructions all in one easy spot - and for free. It is such a blessing to work-outside-the-home mamas like me that don't have much spare time. 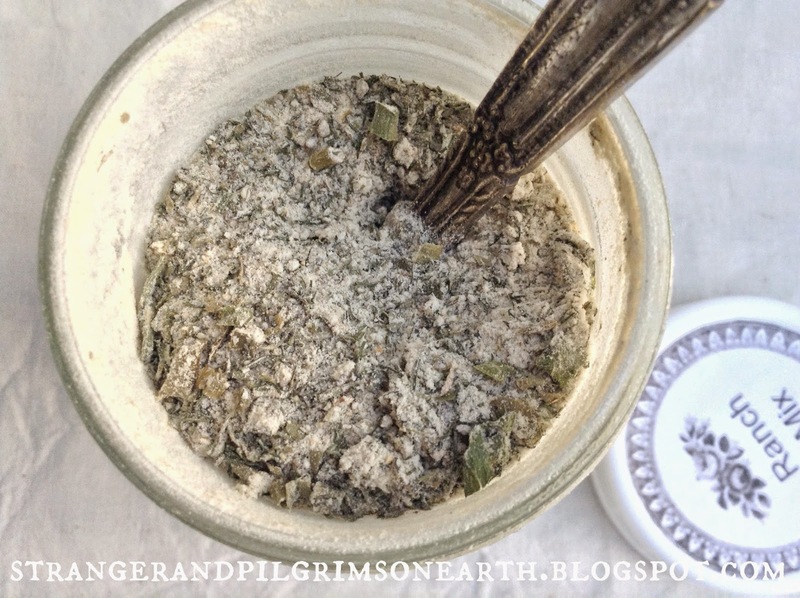 One note, on your ranch mix, if anyone has a spice/coffee grinder, I've found that by grinding all my ingredients to a powder, they stay mixed with no need to shake - and no big pieces of leaves floating in your dip (which I find to be icky looking, but that's just me...). Seriously, we are so blessed that you have done all the work on these recipes and offer them to your readers just for the taking. Thank you. Thank you so much. (I still think you need a publisher to take notice of your blog. It's probably just a matter of time until that happens then you'll be rich, and will forget us and only want to sip tea at the beach while the rest of us look back fondly to the time when you shared your home-making endeavors with us.) How's that for dreamin'? jk Have a great evening. I agree! You need to turn this blog into a book! I was just thinking I need to take a week off everything else just so I can read through all the past posts here! There is just so much wonderful information and inspiration to absorb. And I would love to see it in a book form. 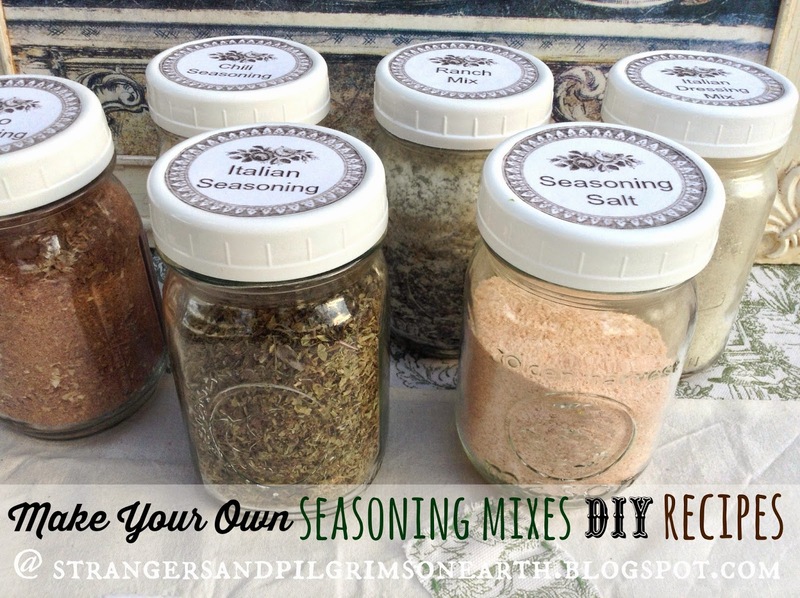 Love the seasoning mixes - another great idea for my pantry. 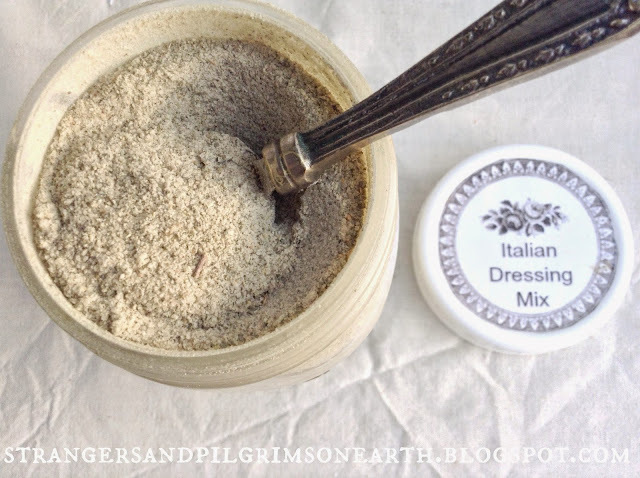 Who knew you could make an Italian Dressing mix?! Fantastic. 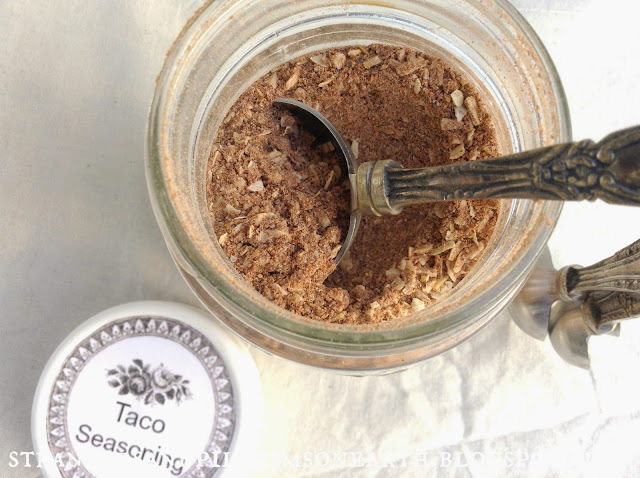 I have yet to find a taco seasoning recipe I like, so I'm excited to try the one you linked to. JES--this is wonderful. Thank you for sharing your knowledge and arming us to provided for our own families. You are such a Friend! Great post! 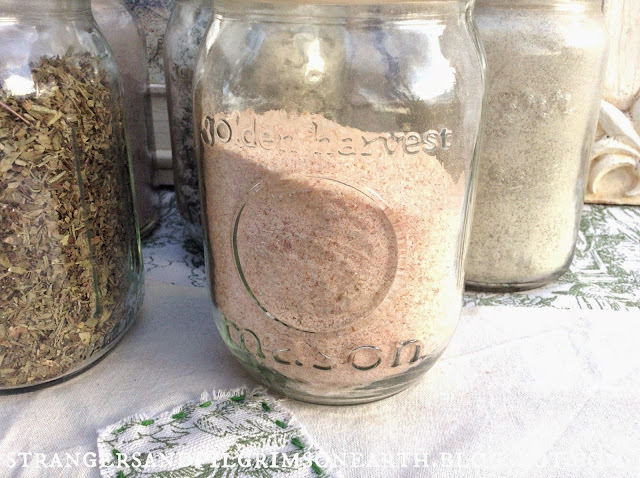 I love this idea of making your own seasoning. You know that there is no chemical additives and exactly what the ingredients. I like the idea of the labels and directions on them. Visiting from the Home Acre Blog Hop. The Ranch Mix is my favorite. I love this! I am going to save these recipes. A lovely post JES! Making my own spice combos and mixes has been something I've done for a while. I make my own chicken bouillon seasoning and it is far better than any bouillon I've bought in the store! The labels you created to go with your spices are just darling - you are so talented to do this and share with all of us :) Have a wonderful weekend! I love finding these recipes all in one spot! I just sent my college boy off on a summer internship with some things to start his pantry. I put spices and spice mixes in the small jelly jars. I plan to make several of these with my older daughter. Thanks so much! P.S. This would make a great wedding shower gift with special jars and the recipes. Yes Lisa, I agree, these would make great gifts! :) Thank you for sharing! Your sweet comment has made me smile! No matter what age, we are all homemakers right? And I have gleaned so much from the older women in my life so I appreciate you sharing! You must have a beautiful home with all the lovely touches you've added...your posts are always a blessing and I never leave your blog uninspired! Thank you so much for all the effort you put into making a beautiful, inspirational place for others to visit! Wow - these are great!! My husband like to make his own seasonings so I will pass this along to him. Thanks so much for sharing. Visiting from Darling Downs Link Up. These look great! Thaks for sharing the recipes! Woo-hoo! I just got a dehydrator and I have a garden's worth of herbs... This is a huge help to trying to figure out what to do with it all! Hey JES! 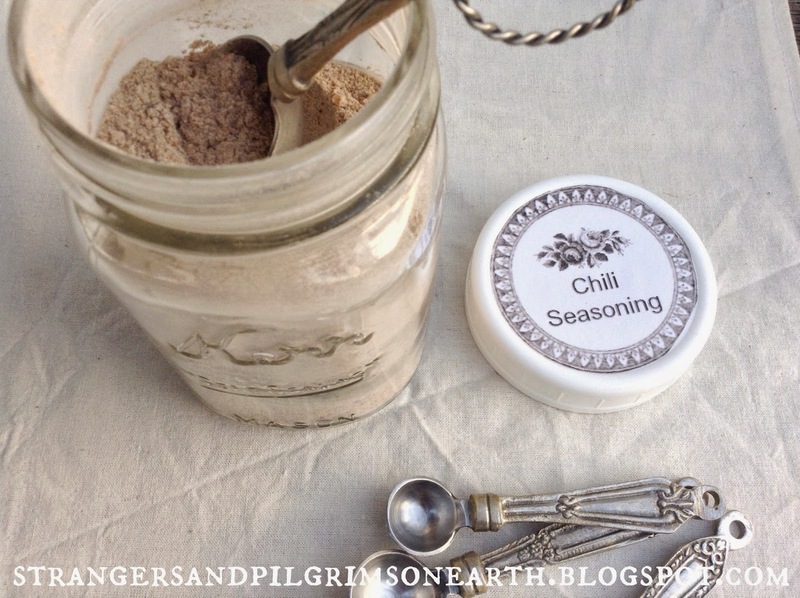 I just wanted to let you know that I made these and they are now sitting snugly in my spice cupboard--yay! It's so nice to be able to just pull out a jar and throw a Tb or two of mix into my recipe and move on with my dinner prep. Thanks for the great instructions! Jes, you are THE best! Thank you so much as always for your generosity in what you share with us! And you are a whiz at printables Jes! I plan on trying a few of your mixes..Thank you. Thanks for the great reminder and a few new recipes. My family does this too. I think it gives my food storage the additional "umph" it needs for variety. Thanks for stopping by, we're featuring your post on Front Porch Friday this week! I NEED to do this! Thanks for sharing!!! The download page says I must create an account in order to download. How does that work and is there a way to download or print without having an account on that page? Thank you so much for all the hard work you put in! I enjoyed your post. Thanks so much for sharing the seasoning mix recipes! Not only do these sounds economical and healthy, they're in mason jars and I love how they look!